Congratulations, you're about to get Canada's most complete accident history report. Complete the form below and we'll email you the CarProof report for this vehicle. This low kilometre 2016 Toyota Corolla S shows like new inside and out an features Softex Leather trimmed upholstery, Air Conditioning, Power Window and Locks, Heated Seats, a Power Moonroof, Cruise Control, a Leather Wrapped Wheel with Tilt Steering and an AM/FM/CD/Sat Radio Audio System with Bluetooth and a Backup Camera. This sporty sedan rides on 17 Inch Alloy Wheels and Power comes from a fuel efficient 1.8 Litre, 4 Cylinder Engine mated to an Manual Transmission and Front Wheel Drive. Don't miss out on this one, call today to book your test drive or stop by for a look, we're at 1200 Leathead Road in Kelowna. Act fast if you want to drive this Clean, Low Kilometre, All Wheel Drive 2015 Toyota RAV4 LE home. It's nicely equipped and comes with Air Conditioning, Power Windows and Locks, Cruise Control, Tilt Steering and an AM/FM/CD Audio System with Bluetooth and a Backup Camera. This sporty compact SUV shows like new in Metallic Silver and it looks great with 17 Inch Wheels and Tinted Glass. Power comes from a fuel efficient 2.5 Litre 4 Cylinder Engine mated to an Automatic Transmission. Don't wait on this one, RAV's this nice are in high demand, call today to book your test drive or stop by for a look, were located on Leathead Road in Kelowna. This well equipped 2017 Toyota Sienna LE show well inside and out and features Air Conditioning, Power Windows and Locks, Heated Seats with a Power Driver Seat, Cruise Control, Tilt Steering, Power Side Doors and an AM/FM/CD/Sat Radio Display Audio System with Bluetooth Steering Wheel Controls and a Backup Camera. This sharp looking 7 Passenger van comes equipped with Roof Rails and 17 Inch Alloy Wheels. Power comes from a 3.6 Litre V6 mated to an Automatic Transmission and Front Wheel Drive. Don't wait, call today and book your test drive or stop by for a look, we're at 1200 Leathead Road in Kelowna. This All Wheel Drive, 2015 Toyota RAV4 Limited is in Like New Condition and well equipped including Leather Heated Power Seats, Air Conditioning, Power Windows and Locks, Cruise Control, a Leather Wrapped Wheel with Tilt Steering, a Power Moonroof and an AM/FMCD/Sat Radio Audio System with Bluetooth and a Backup Camera. This top of the line RAV comes equipped with Roof Rails, Fog Lights and 18 Inch Alloy Wheels. Power comes from a 2.5 Litre 4 Cylinder Engine mated to an Automatic Transmission. Call today and book your test drive or stop by for a look, we're located on Leathead Road in Kelowna. Don't miss out on this one! This 2018 Toyota 4Runner Limited is in top condition and fully equipped including Rich Brown Leather Upholstery, Heated Seats, Climate Control A/C, Power Windows and Locks, Cruise Control, a Leather Wrapped Wheel with Tilt Steering, a Power Moonroof and a JBL AM/FM/CD/Sat Radio Audio System with Bluetooth and a Backup Camera. This luxury 4x4 looks great in Magnetic Grey riding on 20 Inch Alloy Wheels, with Full Length Running Boards and Silver Roof Rails. Power comes from a 4.0 Litre V6 mated to an Automatic Transmission and 4 Wheel Drive. Don't Wait, Call today and book your test drive or stop by for a look, we're at 1200 Leathead Road in Kelowna. This 2014 Nissan Sentra shows well and features Air Conditioning, Power Windows and Locks, Cruise Control, Tilt Steering and an AM/FM/CD Audio System. This clean 5 passenger sedan looks great in Graphite Blue and power comes from a fuel efficient 1.8 Litre 4 Cylinder Engine mated to an Automatic Transmission and Front Wheel Drive. Call today to book your test drive or stop by for a look we're located on Leathead Road in Kelowna. This affordable 2013 Chrysler 200 shows well and features Leather Upholstery, Air Conditioning, Power Windows and Locks, Cruise Control, Heated Seats, a Leather Wrapped Wheel, a Power Sunroof and an AM/FM/CD/Sat Radio Audio System with Bluetooth and a Backup Camera. This Sporty Sedan rides on 17 Inch Wheels and Power comes from a 3.6 Litre V6 mated to an Automatic Transmission and Front Wheel Drive. Call today to book you test drive or stop by for a look, we're located on Leathead Road in Kelowna. This super clean, low kilometre 2015 Chrysler 200 looks great in White and comes equipped with Air Conditioning, Power Windows and Locks, Cruise Control, Push Button Start, Tilt Steering and an AM/FM/CD/Sat Radio Audio System. This sharp looking sedan rides on 17 Inch Alloy Wheels and power come from a 2.4 Litre 4 Cylinder Engine mated to an Automatic Transmission and Front Wheel Drive. Call today to book your test drive or stop by for a look, we're located on Leathead Road in Kelowna. This nicely equipped, low kilometre 2015 Dodge Journey shows well inside and out and features Air Conditioning, Power Windows and Locks, Cruise Control, a Leather Wrapped Wheel, Tilt Steering, Push Button Start and an AM/FM/CD Display Audio System. It looks great in Redline Red with Black Roof Rails and 17 Inch Wheels. Power comes from a 2.4 Litre 4 Cylinder Engine mated to an Automatic Transmission and Front Wheel Drive. Call today to book your test drive or stop by for a look, we're located on Leathead Road in Kelowna. This clean, low kilometre, 4 Wheel Drive 2013 Ford Escape SE shows well and features Air Conditioning, Power Windows and Locks, Heated Seats, Cruise Control, Tilt Steering and an AM/FM/CD/Sat Radio Audio System with Bluetooth. This sporty SUV looks great in White with 17 Inch Alloy Wheels and power comes from a 2.0 Litre 4 Cylinder Engine mated to an Automatic Transmission. Call today to book your test drive or stop by for a look, we're located on Leathead Road in Kelowna. This 2018 Kia Rio 5-door shows like new and come equipped with Air Conditioning, Power Windows and Locks, Cruise Control, Heated Seats, a Leather Wrapped Wheel with Tilt Steering and an AM/FM/CD/Sat Radio Audio System. This practical hatchback rides on 15 Inch Wheels and power comes from a 1.6 Litre 4 Cylinder Engine mated to an Automatic Transmission and Front Wheel Drive. Call today to book your test drive or stop by for a look we're on Leathead Road in Kelowna. This 2017 Nissan Sentra SV shows well and only has 56,000 kms showing on the odometer, it nicely equipped including Air Conditioning, Power Windows and Locks, Heated Seats, Cruise Control, a Leather Wrapped Wheel with Tilt, Push Button Start and an AM/FM/CD/Sat Radio Audio System with a Backup Camera. This sporty sedan looks great in black, it rides on 16 Inch Alloy Wheels and power comes from a 1.8 litre 4 Cylinder Engine mated to an Automatic Transmission and Front Wheel Drive. 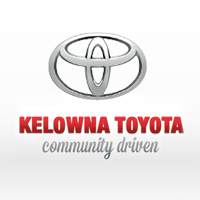 Call today to book your test drive or stop by for a look, we're located on Leahead Road in Kelowna. This 2017 Hyundai Santa Fe Sport shows like new and features Dual Zone Climate Control Air Conditioning, Power Windows and Locks, Cruise Control, Heated Seats, a Leather Wrapped Wheel with Tilt Steering and an AM/FM/CD/Sat Radio Display Audio System with a Backup Camera. This fully equipped, low kilometre, All Wheel Drive 2014 Kia Sportage EX shows well and comes equipped with Leather Upholstery, Air Conditioning, Power Windows and Locks, Cruise Control, Heated Seats with a Power Drivers Seat, a Power Moonroof, Push Button Start, a Leather Wrapped Wheel with Tilt and an AM/FM/CD/Sat Radio Audio System. This sharp looking SUV has Roof Rails, Fog Lights, Wind Deflectors and 18 Inch Alloy Wheels. Power comes from a 2.4 Litre 4 Cylinder Engine mated to an Automatic Transmission. Call today and book your test drive or stop by for a look, we're located on Leathead Road in Kelowna. Low kilometre 2015 Ram 1500 SLT 4X4 shows well inside and out and features Air Conditioning, Power Window and Locks, Cruise, Tilt Steering, Power Driver Seat and an AM/FM//Sat Radio Audio Display Audio System. This great looking pickup rides on 17 Inch Chrome Alloy Wheels and comes equipped with a tow package and bed liner. Power comes from a 3.6 Litre V6 mated to an 8 Speed Automatic Transmission and Four Wheel Drive. Call today to book your test drive or stop by for a look we're located on Leathead Road in Kelowna. Driving enthusiasts you'll love this 2017 Dodge Charger, it shows like new with less than 40,000 Kms on the odometer and comes equipped with Air Conditioning, Power Windows and Locks, Cruise Control, Heated Sport Seats, a Power Sunroof and an AM/FM/CD Display Audio System with Bluetooth. This sporty sedan looks great in Metallic Silver riding on 18 Inch Alloy Wheels and power comes from a 3.6 Litre V6 mated to an Automatic Transmission. Call today and book your test drive or stop by for a look we're located on Leathead Road in Kelowna. This low kilometre, 2017, Nissan Pathfinder SV looks upscale in black and shows like new. It come equipped with Air Conditioning, Power Windows and Locks, Cruise Control, Heated Seats, Tilt Steering and an AM/FM/CD/Sat Radio Display Audio System with Bluetooth and a Backup Camera. This pre-owned Pathfinder looks great in Black with Silver Roof Rails, Fog Lights and 17 Inch Alloy Wheels. Power come from a 3.6 Litre V6 mated to and Automatic Transmission and Four Wheel Drive. Call today to book your test drive or stop by for a look, we're located on Leathead Road in Kelowna. Like new this, low, low kilometre 2018 Chevrolet Colorado is in top condition inside and out and it comes equipped with Air Conditioning, Power Windows and Locks, Cruise Control, a Power Driver Seat, Tilt Steering and an AM/FM/Sat Radio Display Audio System with Bluetooth and a Backup Camera. This clean pickup looks great in Metallic Silver it rides on 17 Inch Alloy Wheels and power comes from a 3.6 Litre V6 mated to an Automatic Transmission. Call today to book your test drive or stop by for a look, we're located on Leathead Road in Kelowna. L/100km ratings being used are based on "Natural Resources Canada’s Fuel Consumption Guide”. Use for comparison purposes only. Your actual mileage will vary depending on how you drive and maintain your vehicle. ON USED VEHICLES A $499 DOCUMENT FEE AND APPLICABLE TAXES ARE NOT INCLUDED IN VEHICLE PRICES SHOWN AND MUST BE PAID BY THE PURCHASER. WHILE GREAT EFFORT IS MADE TO ENSURE THE ACCURACY OF THE INFORMATION ON THIS SITE, ERRORS DO OCCUR SO PLEASE VERIFY INFORMATION WITH A CUSTOMER SERVICE REP. THIS IS EASILY DONE BY CALLING US AT (250) 491-2475 OR BY VISITING US AT THE DEALERSHIP. ALL DEALER DISCOUNTS SHOWN ARE A REDUCTION OFF OF ORIGINAL DEALER LIST PRICE. † L/100KM RATINGS BEING USED ARE BASED ON “NATURAL RESOURCES CANADA’S FUEL CONSUMPTION GUIDE”. USE FOR COMPARISON PURPOSES ONLY. YOUR ACTUAL MILEAGE WILL VARY DEPENDING ON HOW YOU DRIVE AND MAINTAIN YOUR VEHICLE.